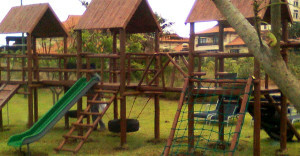 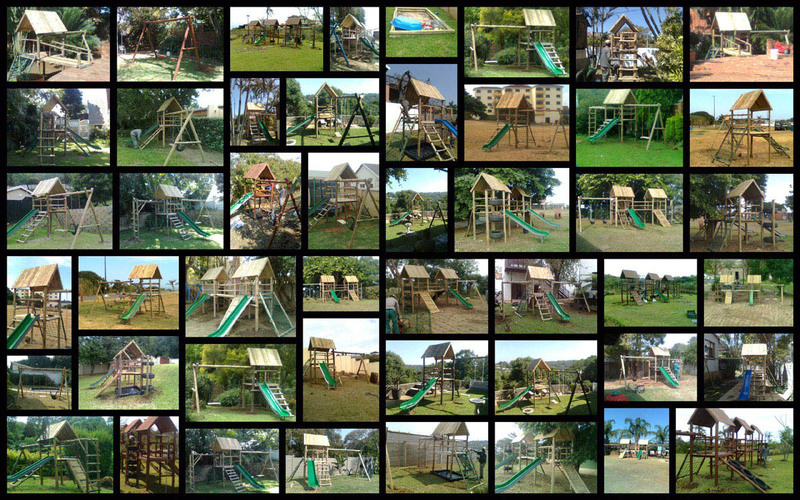 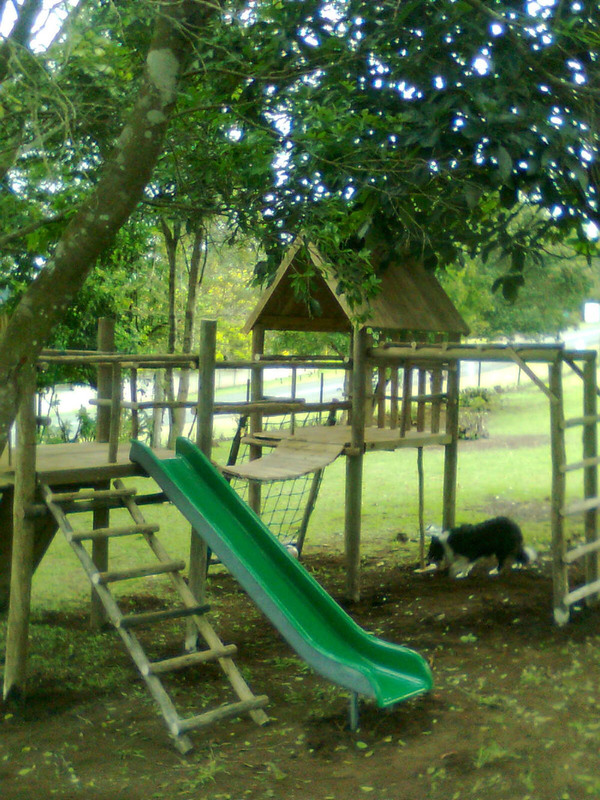 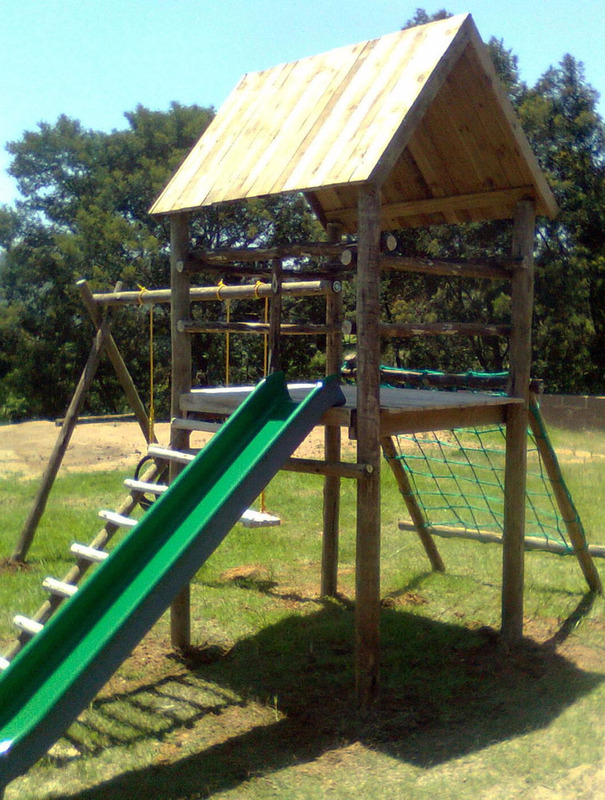 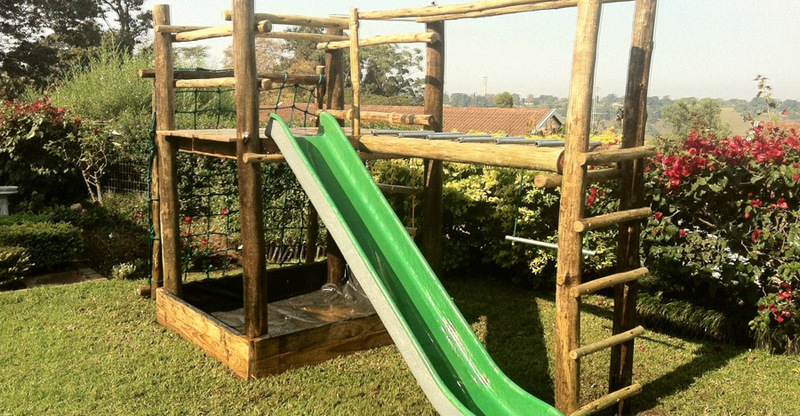 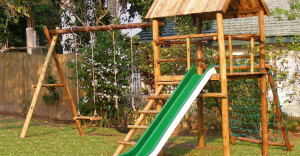 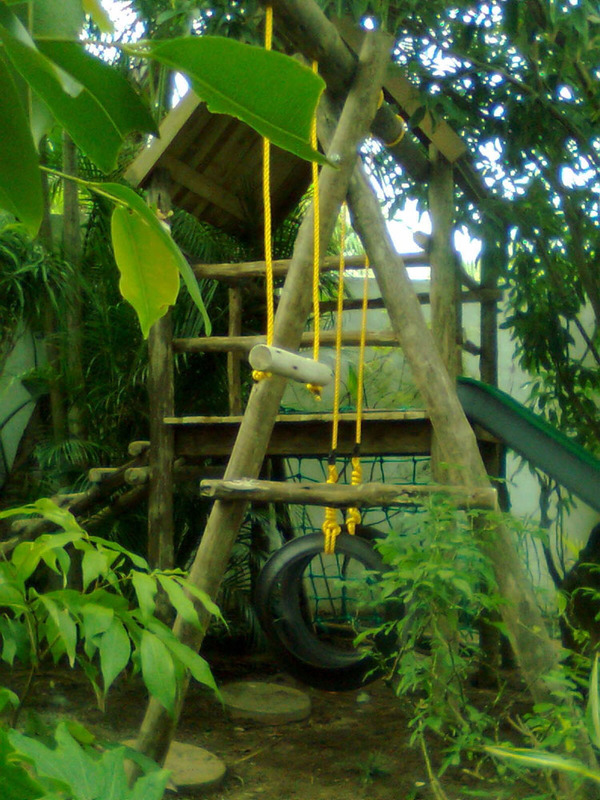 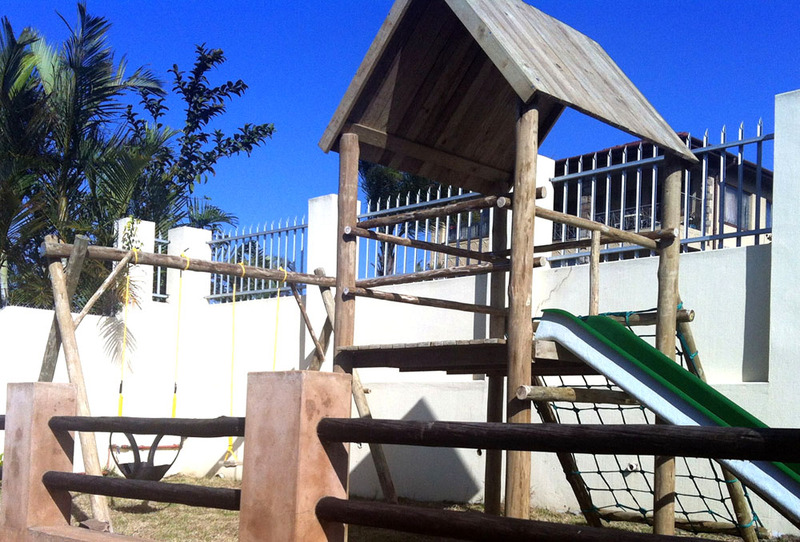 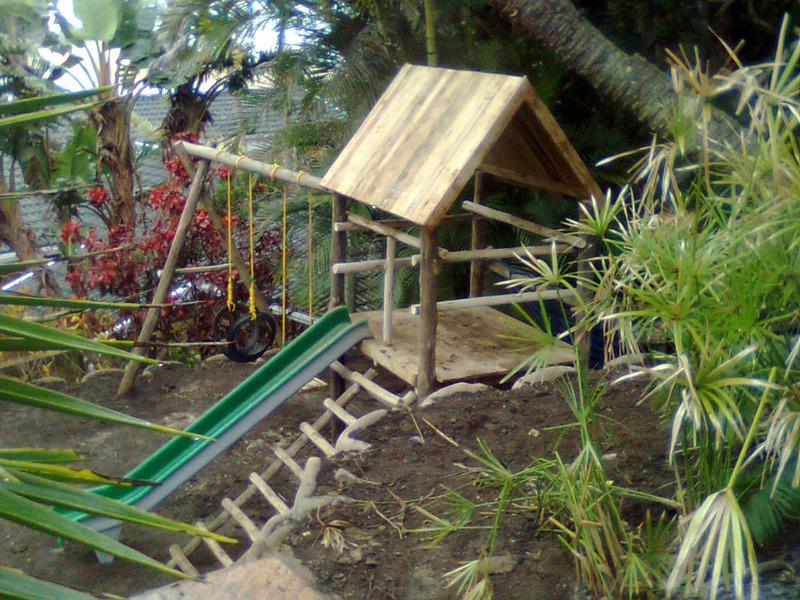 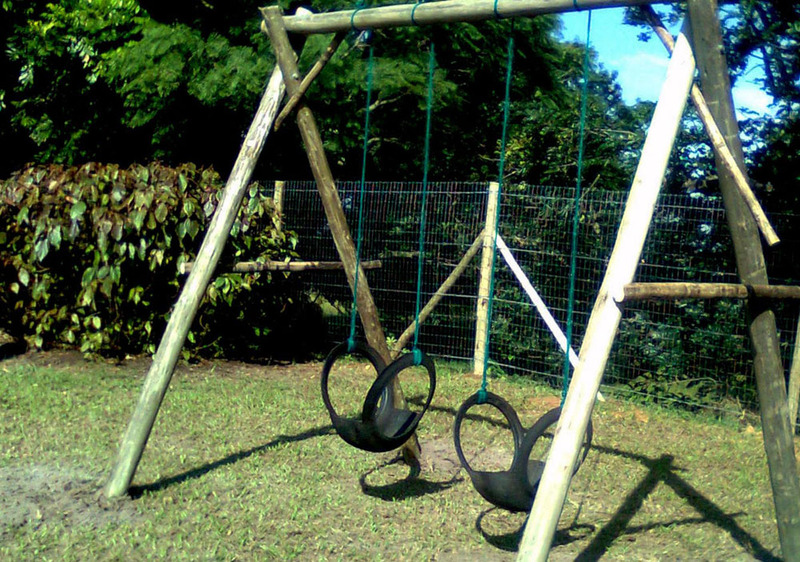 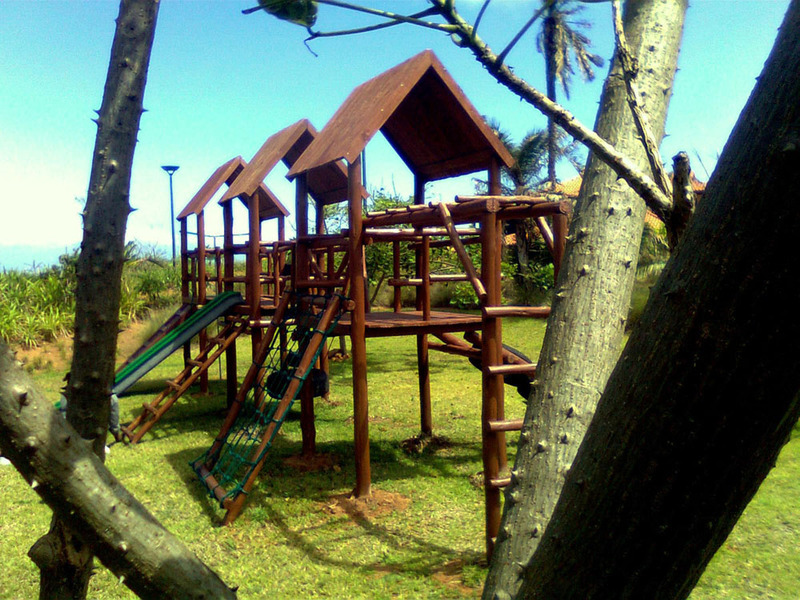 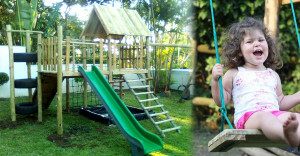 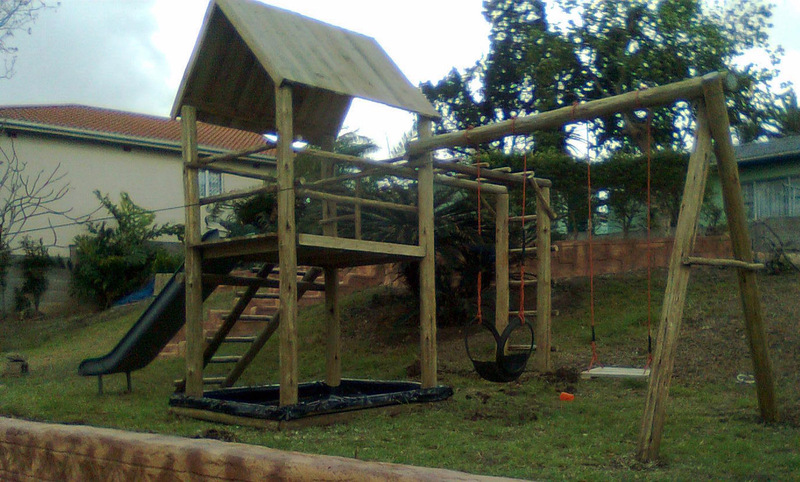 All Playground World Wooden Jungle Gyms are installed into the ground as a permanent structure. 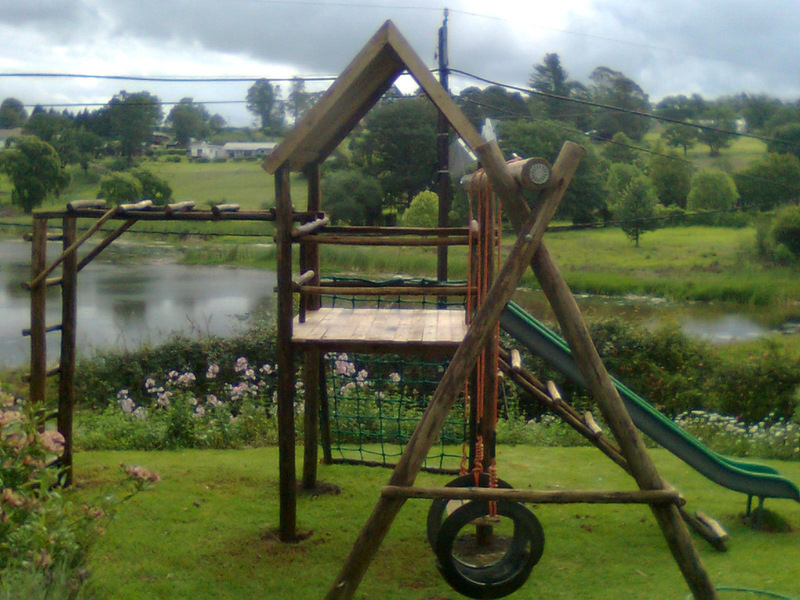 Our units are fully guaranteed for a year on all workmanship and our timber suppliers treat all our poles to the SABS standard. 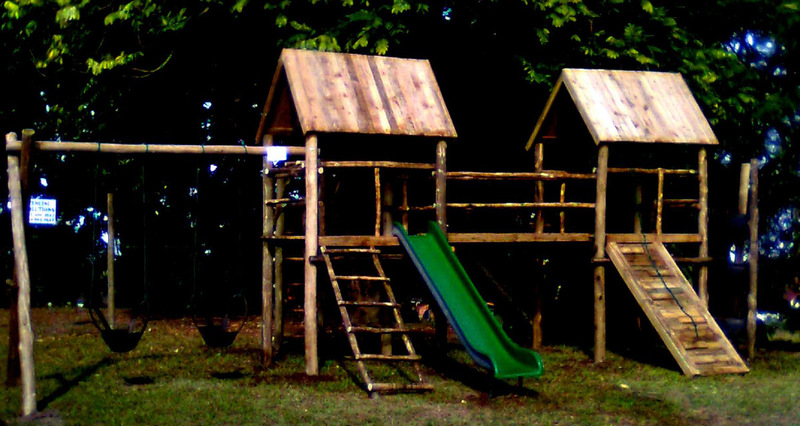 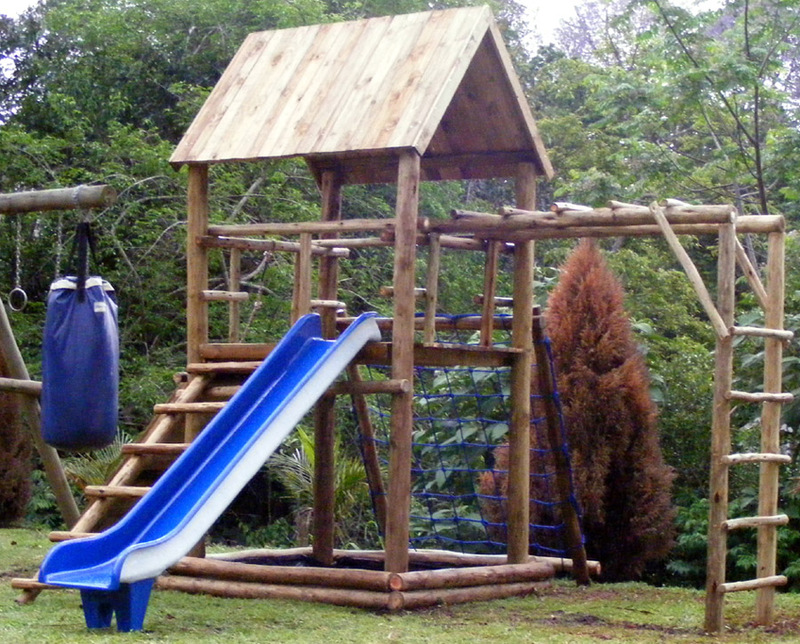 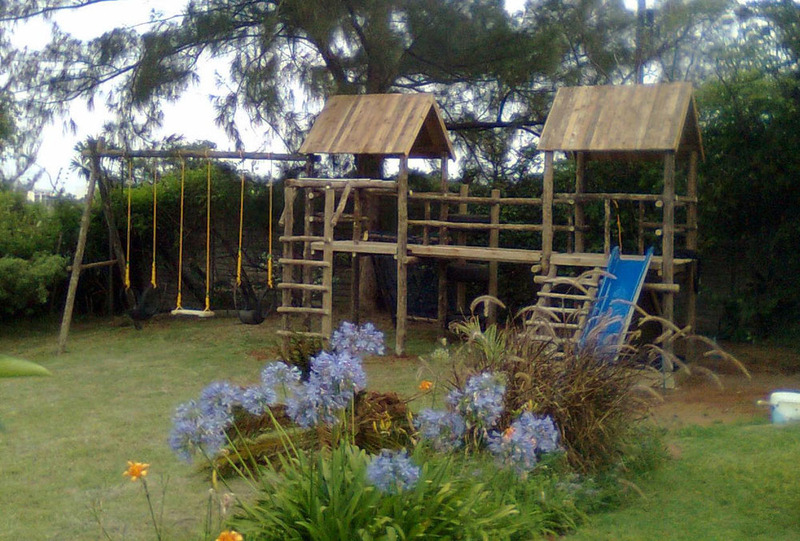 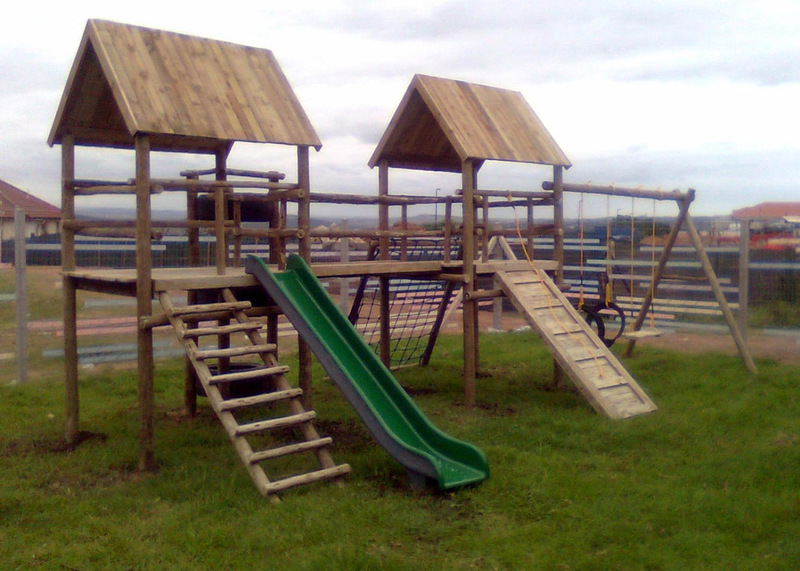 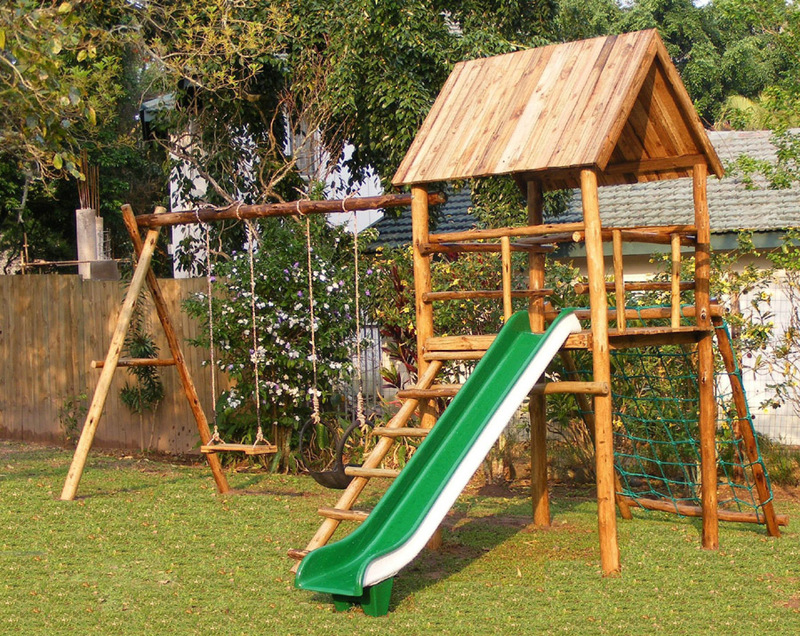 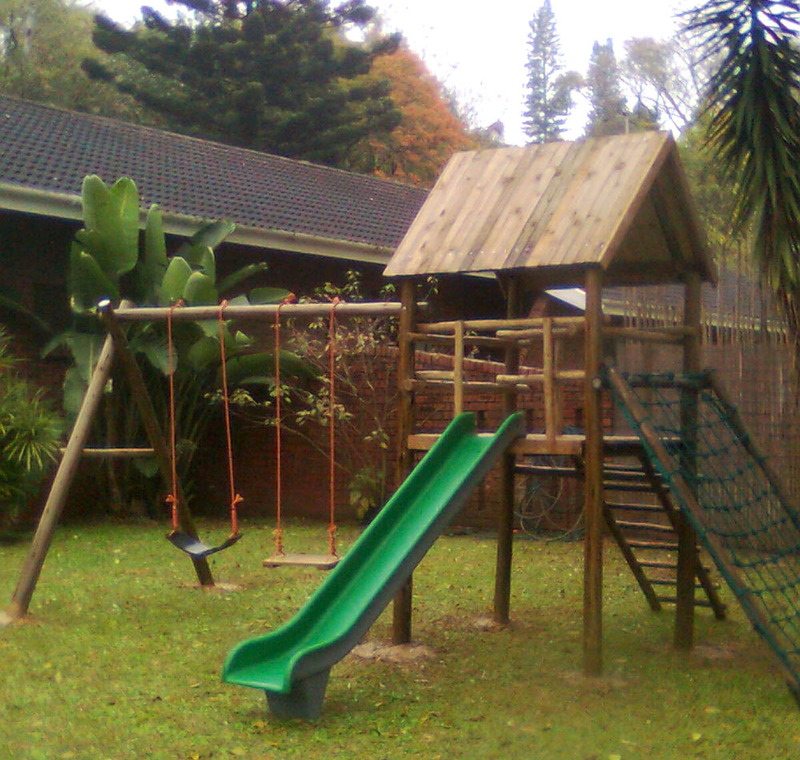 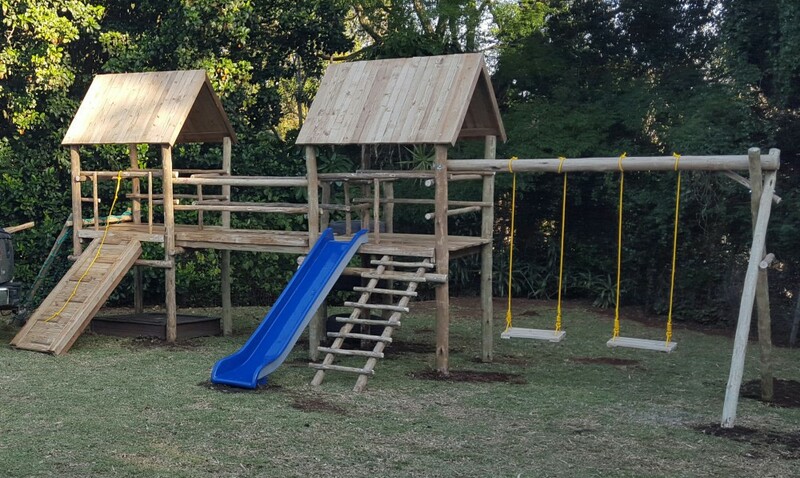 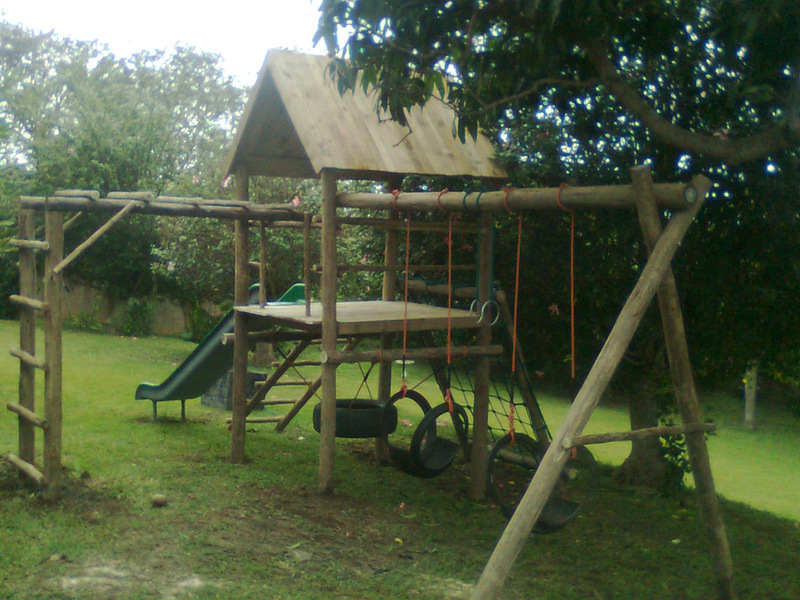 Our wooden structures are strong, safe and durable and weatherproofed against harsh South African weather conditions. 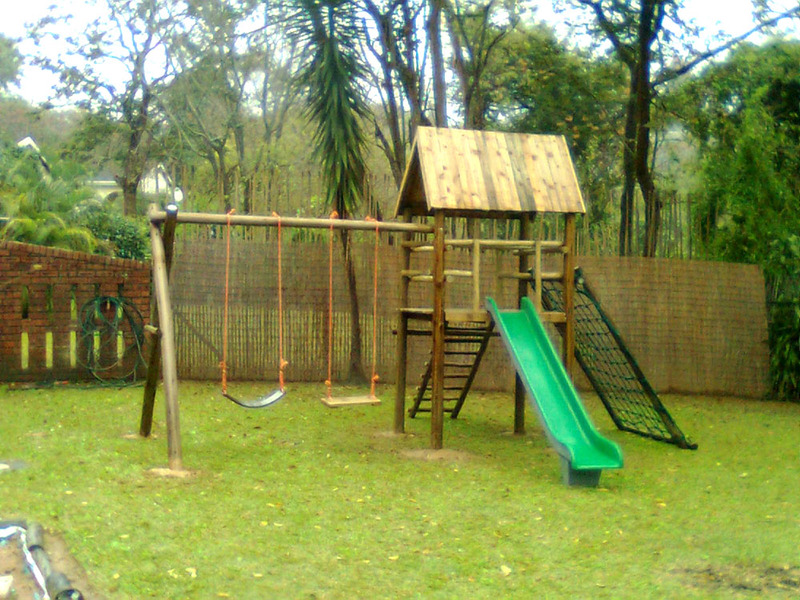 All our units are fully modularised, which means that you can custom-build to the needs of your children and budget. 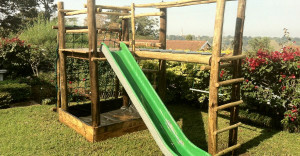 Please see our price list here and feel free to contact us. 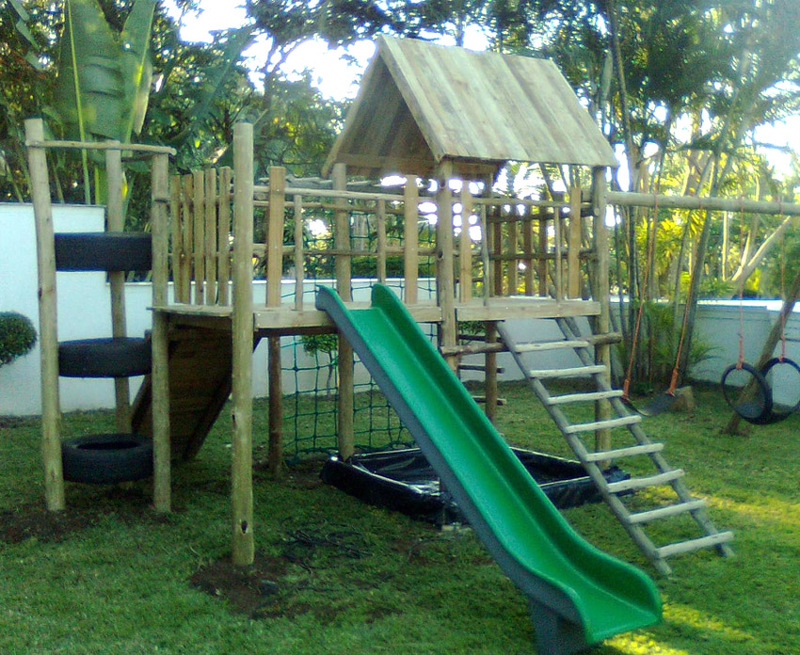 We pride ourselves in service and after-sales support. 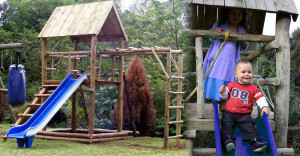 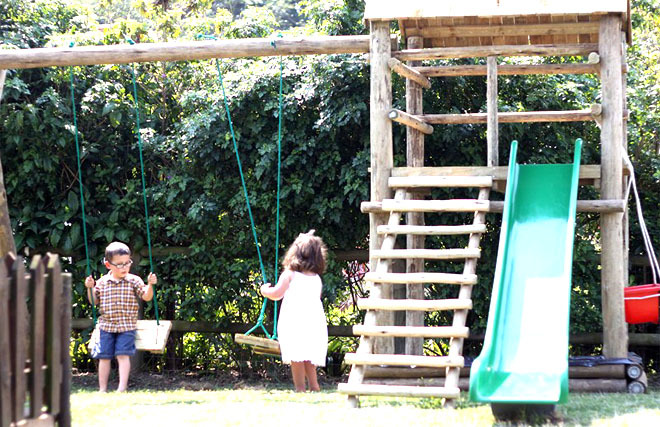 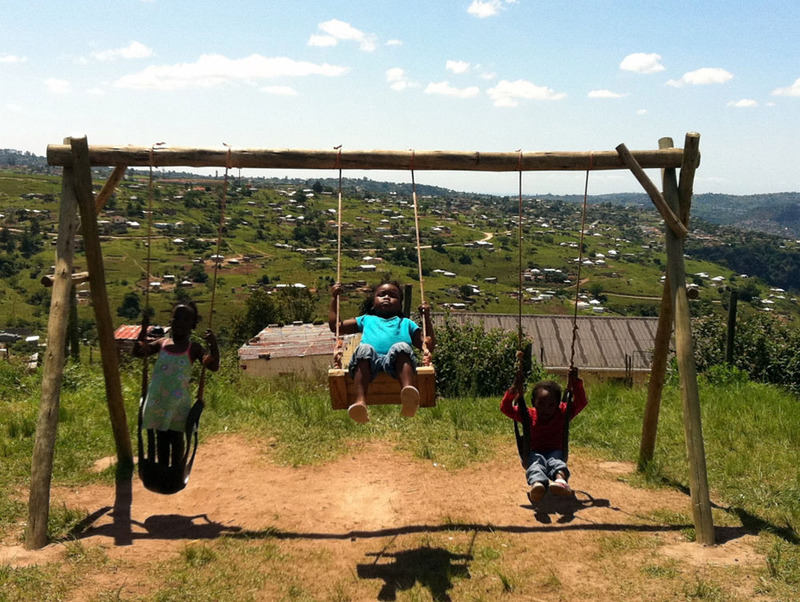 Please see our article on the benefits of outdoor play for children. 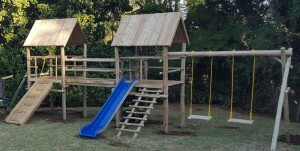 Twix: 2 platforms with roofs, stepladder, slide, pullup ramp, bridge, tyre tower, double swing and climbing net.